Title and covers are frequently the hardest part of writing, or in the case of Fables and Fabrications compiling a book. It could be seen as something of a chicken and egg process. Is the cover suggested by the title? Or does the cover dictate the title? With a collection such as Fables and Fabrications that process was made harder because the stories contained within are so diverse within that broad spectrum that is Fantasy. It is not a book of horror (though many of the stories are admittedly dark). It is not a book of fairy tales, fantasy, steam punk, myths or science fiction, though all are touched upon in various forms. ‘A Taste of Culture’ and ‘Midnight Twilight’ for example are both plays on the tropes found in classic books (and their film versions), whereas ‘Mayday Springs Askew’, ‘Thirteenth Day’ and ‘Grey Magic for ‘Cat Lovers’ were each inspired by legends of ancient gods; Flora, Holly King and Freya respectively. ‘Thirteenth Day’ also draws on an ancient Carol of possibly pagan origins. ‘Drawing Down the Moon’ and ‘Pet Therapy’ likewise fall back on old legends. The former relating to the Witches of Thessaly and the latter to a little known Indian cat demon. ‘Princess Born’ and ‘Jack Jumps Out of the Box’ play around with elements of nursery rhyme and story. ‘Winter Eve’ is essentially a ghost story of the Tales of the Unexpected variety. ‘Green Tea’ and ‘Gallery Green’ possibly the only two that are horror/weird tales drawing on more modern, and finally, ‘Damnation Seize My Soul’ takes on the tropes of an eternal warrior. Also in the mix are a selection of poems that have been published over the years, as well as a handful of Haiku just for the hell of it. So where does that leave us in the cover V title debate? 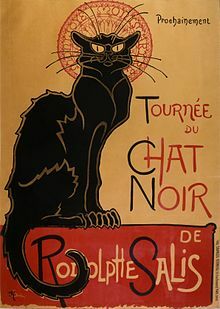 Finding a cover to encompass all of the above was a real headache and it was when browsing old pictures for something else entirely that I spotted Théophile Alexandre Steinlen’s iconic poster for the ‘Le Chat Noir cafe’ and it struck me. Since two of the stories contain evil felines a cat cover is as close to a theme as I was going to get. So the answer to the question ‘Why the Cat’? It falls somewhere between because I like it (as valid a reason as any) and, perhaps more importantly, because it felt right. 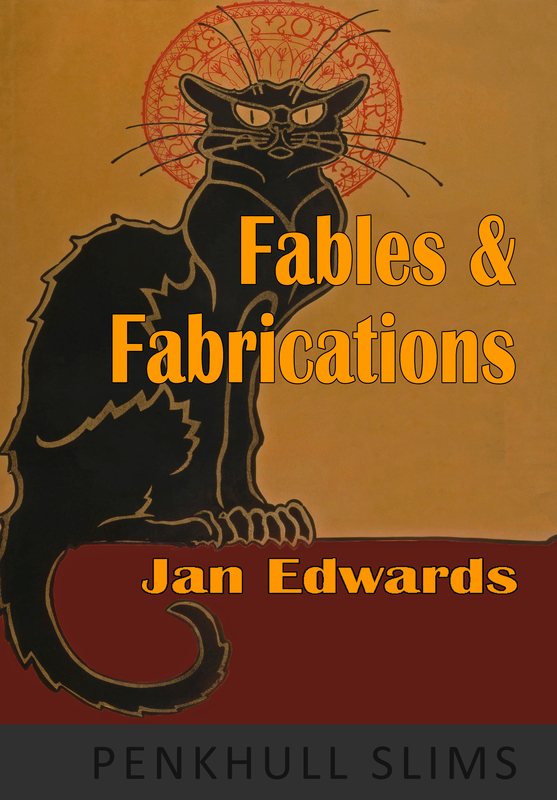 Fables and Fabrications is available in both paper and e formats.